Time flies when you do! But where does it go? Happy New Year! I’m marking it with my 12th trip northward to the best place in the world: Greenland. I’m a little biased, so if you don’t believe me, just ask Lonely Planet or National Geographic Traveler. 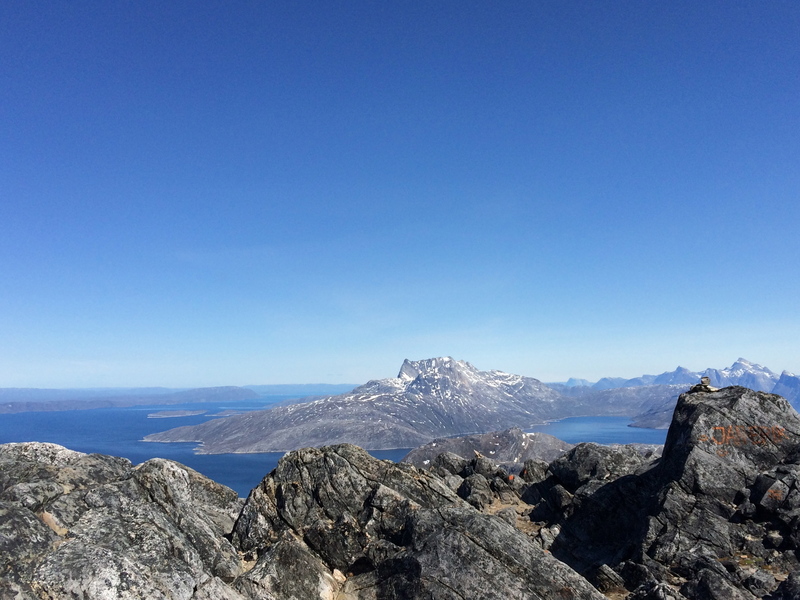 Getting to Greenland comes as second nature for me, and I could almost make the route with my eyes closed, so in a way I do become blind to how much time and how many steps it actually takes to get door-to-door. 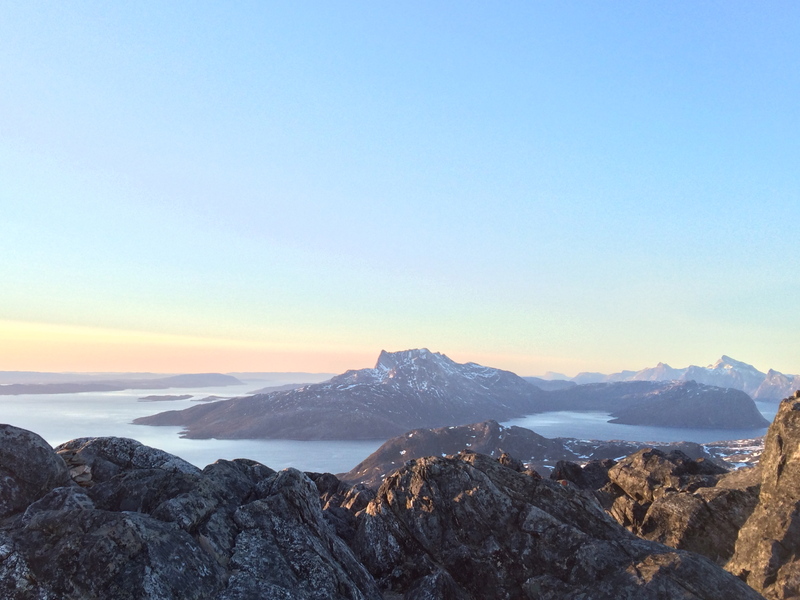 All I know is, it’s all worth it once I start seeing those East Greenland pointy peaks on the way to the west coast. 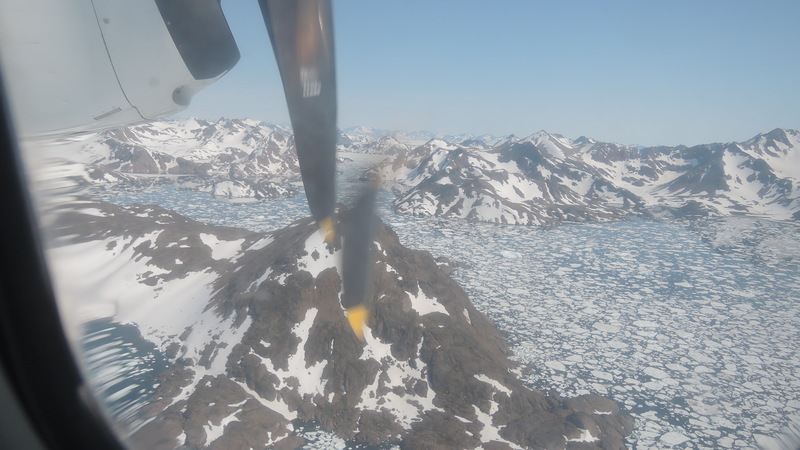 47.5 hours across three different days and three different airlines is what it’s going to take this time around to travel from Washington, D.C. to Ilulissat, Greenland. It’s a marathon, not a sprint. True story. Here’s a fun little chart to show how I’m using my travel time to get north. Need some ideas for how to do the Reykjavík stopover? Check these. Before you go to Greenland, check the weather! Sila nuan’! Nice weather! Summer in Tasiilaq, Greenland. In Greenland, sila reigns all. Sila is the entire worldly environment which can be seen with one’s own two eyes – the world of humans. 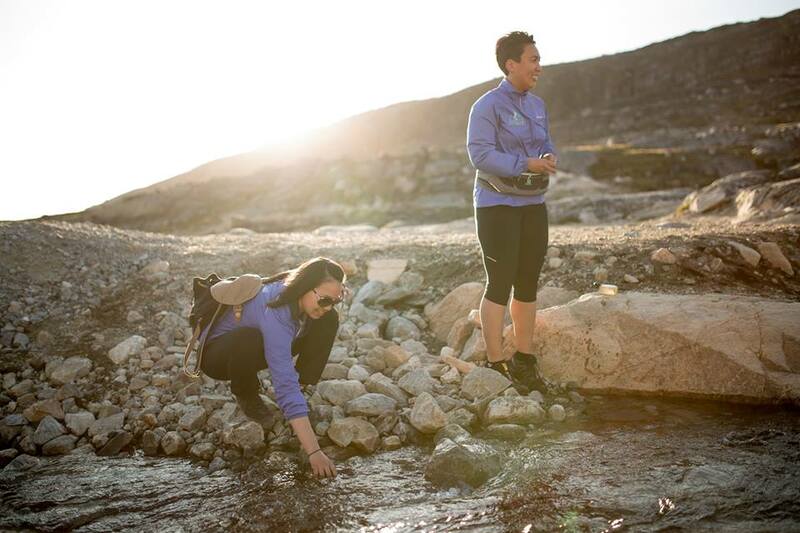 The word is most commonly used in everyday Greenlandic to talk about the weather, and everyone knows that absolutely nothing can be done when sila acts up – so if your travel plans are affected, don’t even use your energy to get angry over it. That’s just how it is. I recommend preparing yourself by checking the weather in Greenland a few days before departure/arrival. 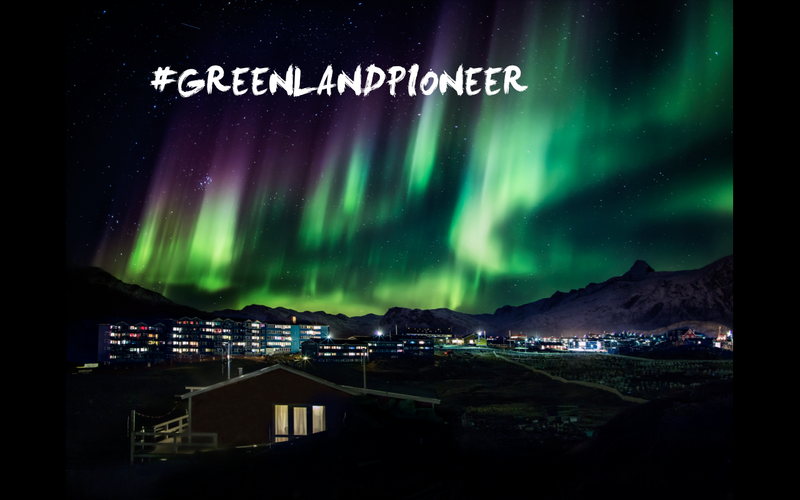 Most Greenlanders rely on the Danish Meteorological Institute for a weather forecast. Since the website is in Danish, here’s a small Cliff’s Notes to how to read the graphs, using the current weather for Nuuk, the capital of Greenland, in the next two days, Saturday-Sunday, 2-3 January 2016. NOTE: The DMI website changed its entire look as of Week 6, 2019, so the following graphs are now irrelevant. I have not yet had the time to update this post fully. There’s 5 things to look for on the graphs – general weather characteristics, precipitation, temperature, wind speed, and wind direction. There is a 2-day outlook, a 3-9-day outlook, and a 10-14-day outlook, but really the only one that should be taken seriously is the 2-day outlook. Weather can always change. The time is measured in military time, so for anyone that isn’t accustomed to this, 15 is 3:00 PM, 18 is 6:00 PM, and so on. “Nedbør” means precip (rain or snow), and if there is any, there will be dark blue vertical bars beneath the blue line. The amount is measured in mm along the y-axis on the left. In the graph below, there is no precipitation predicted. The blue line indicates air temperature and is measured in degrees Celsius along the y-axis on the right. The red and black lines indicate wind speed, both the gusts (“vindstød”) and the persistent winds (“middelvind”), and are measured in meters per second along the y-axis on the right. 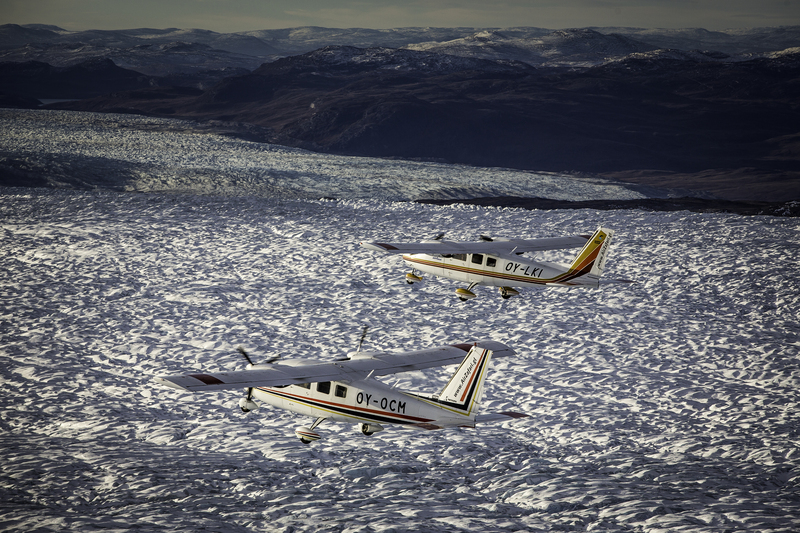 10 m/s is approximately 22 mph or 36 kph, and is nothing that gets people worried in Greenland. There has definitely been 40 m/s (89 mph or 144 kph) before – or higher in East Greenland when the Piteraq comes – and that’s cause for worry! The arrows along the x-axis on the bottom indicate the direction of the wind. Keep a watch for downward-pointing arrows – this means the wind comes from the north and makes for very chilly temperatures! 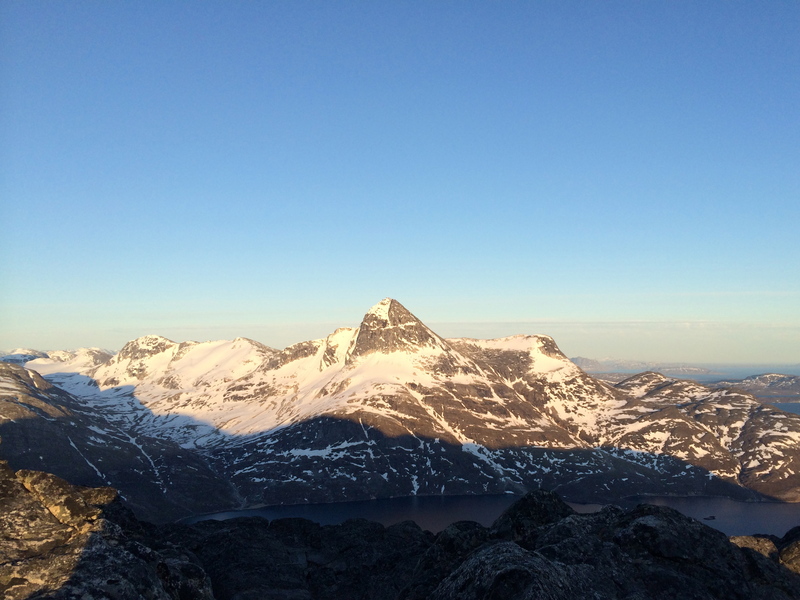 Now you’re all set to check the weather in Greenland! 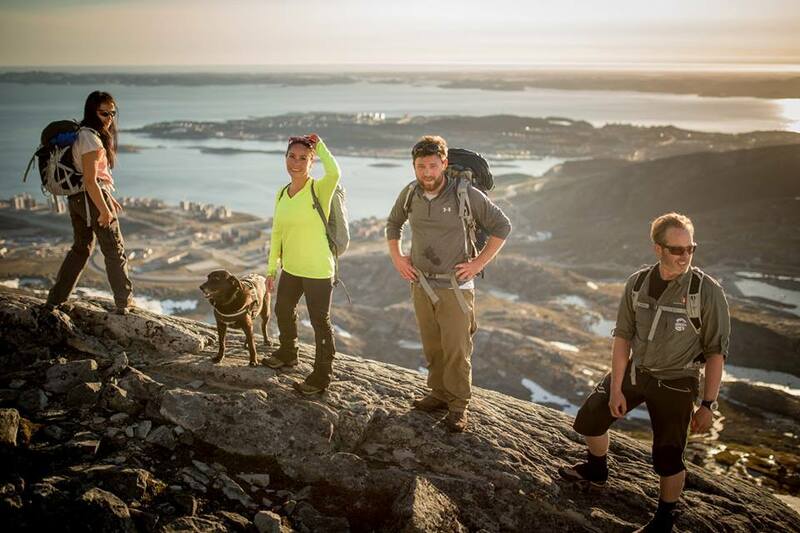 My latest rec for getting to Greenland cheap so you can spend the money where it counts! EDITED 28/3-2019: Wow air is no longer in operation. Greenland is expensive. Let’s just go ahead and get that out of the way. Short of some pretty astronomic miracles, the Air Greenland and Air Iceland prices won’t be decreasing much. But what if I told you the solution could be WOW air? 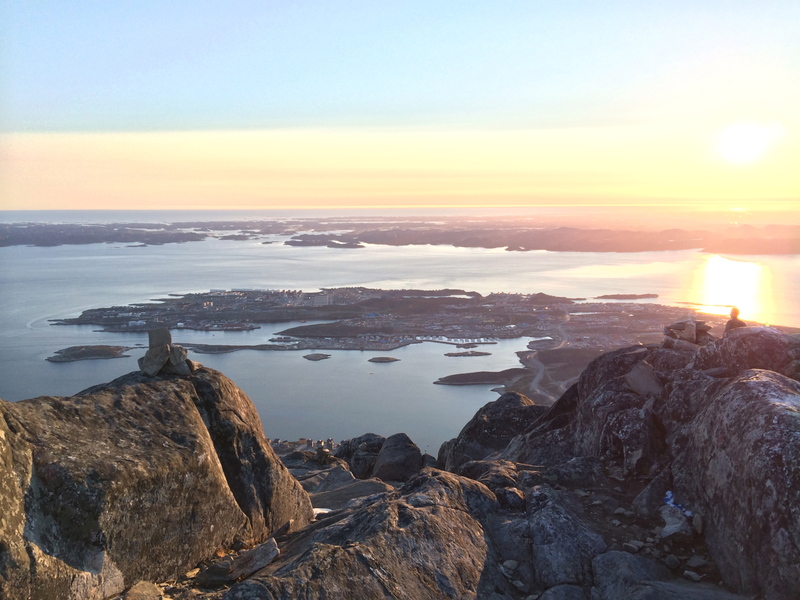 No, WOW air does not fly to Greenland yet, but traveling with this newcomer budget airline from Europe or North America into Reykjavík (a major connection hub for Greenland) could at least make one leg of your journey much cheaper. Not long ago I flew on WOW air for the first time and I’d like to give it the Polarphile seal of approval (I just made that up) along with an honest pledge that I would seriously consider flying with them again in the future. High marks for service, price, and personality; low marks for convenience (as someone traveling to/fro the DC Metro Area). Post-script note: I already booked my second flight with WOW air just two months after this first trip. Despite having a free points ticket with the competitor, black out dates prohibited me from using it when I needed to. Since I was forced to use real money, booking with WOW air helped me save over 500 USD versus booking with the competitor. The motivation: As someone booking their ticket just 11 days before departure, I was what you call ‘price-motivated’ – exactly WOW air‘s target market. The bottom line: 11 days before departure I bought a transatlantic flight between continental Europe and North America for 294 USD, which did include some extra purchases of mine like seat selection, cancellation protection, and 1 piece of heavy hand luggage. Regarding the seat selection fee, this applies to choose any seat in the aircraft, not just priority seating with extra leg room, like on other airlines (I don’t think those seats even exist on WOW air’s machines). 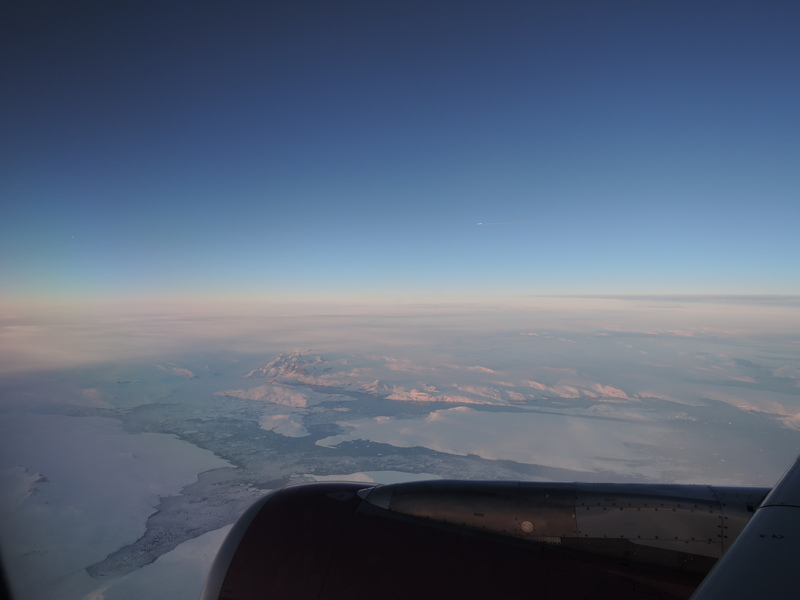 I really didn’t want to get stuck with a middle seat in front of the exit row, and truth be told, I wanted to see out the window to Greenland when flying overhead. It’s a little ritual of mine. Regarding the luggage fee, 5 kg of hand luggage is included in the ticket price. One can elect to purchase an additional 7 kg allowance for a fee, or else check a bag for a fee. So what had me saying “Wow“? Plenty! * Hand-luggage only travelers are the new Business Class. WOW air offers a separate check-in line for those traveling with hand-luggage only. Therefore, I got to bypass a line of around 50 people when I arrived to the airport, which I found to be a so lovely surprise! * There are electrical outlets under each seat. This was maybe my biggest WOW moment, in fact. Not even Icelandair offers this in economy class! * The planes are perfectly fine, just like all other Airbus machines. Maybe I was expecting a matchbox for some reason, but the economy seats are just like any others I’ve been in, and the seats themselves are very comfortable. I flew in their new Airbus. * They’re funny! Anybody whose business model includes launching a gigantic purple people eater into the sky has to have a sense of humor, right? And, a la Southwest Airlines out of the United States, when you take away in one department (think: the free sodas and snacks) you have to add in another. 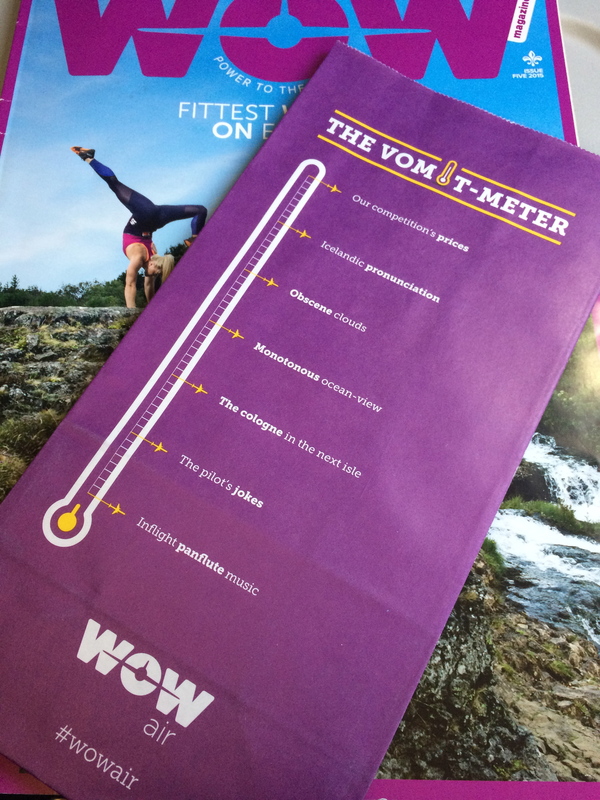 Check the Vomit-meter on their Sick Bag in the seat pocket! There’s literally only one thing that made the experience a drag – WOW air does not service IAD (Dulles International Airport) outside Washington, D.C.! If WOW air flew out of IAD I would be hooked. Hands down. Instead, flying into/out of BWI (Baltimore-Washington International Airport) creates some logistical nightmares for anyone trying to connect with D.C. or Northern Virginia, like me. After 9 hours of flying, this is the absolute last thing you want, especially in this area. Not to mention, there’s no TSA Pre-Check line at BWI security. Huh?! 45 minutes on the B30 Metro Bus from BWI to the Greenbelt Metro Station before riding 1 hour on the Metro from Greenbelt to Vienna, plus an Uber, to reach my destination in Northern Virginia, which otherwise would have been just a 22 minute Uber ride from IAD. That’s what it took for me to get home after landing at BWI. And I’m a lucky one with a Global Entry status. I don’t even want to think about how much time I would have used if I had had to wait in the standard customs line. These public transportations cost just an additional 21 USD, so clearly the pricing still makes a compelling economic case, but somewhere on the Metro I found myself wondering if crashing on my bed still fully clothed and dead tired due to an extra 2 hours of transit was worth saving approximately 275 USD. What do you think? Aside from that big ticket item, there are a few things that could polish up the experience to match the competition in terms of value proposition, but nothing that’s a huge game-changer for me. * It would be fantastic to have wi-fi onboard. I would gladly pre-purchase it along with the laundry list of other add-ons. What’s another 10 USD? * A self check-in kiosk would be great! 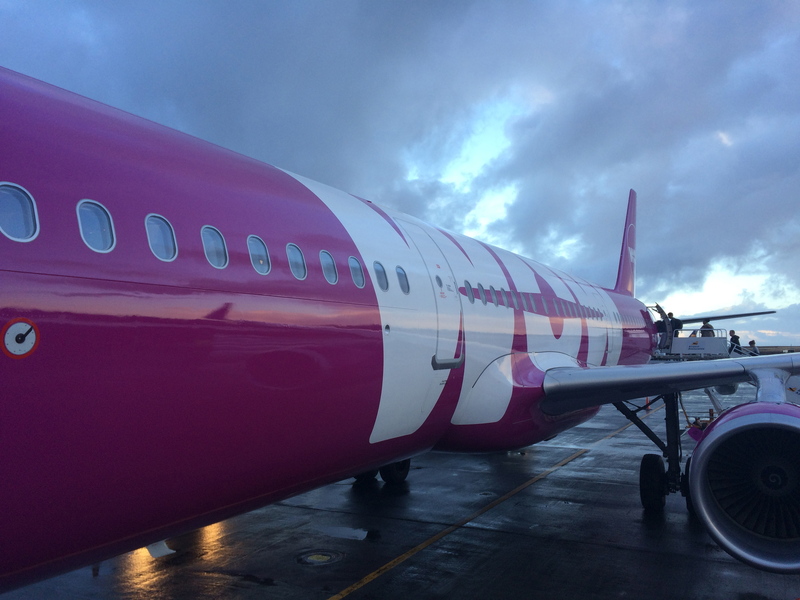 WOW air flies to Reykjavík from Montreal, Toronto, Boston, and Baltimore in North America (and soon from Los Angeles and San Francisco, too) and from 17 European cities including London, Paris, Barcelona, Rome, Amsterdam, Copenhagen, Berlin, and others. WOW air advertises their base fares and then offers a whole host of optional fees and charges, plus various taxes. For example, at first glance my 294 USD ticket looked like it was going to cost just 129 USD. And really, many of the “electives” are virtually unavoidable so you have to pay extra no matter what. Is it really realistic to travel across the Atlantic with only a purse? WOW air offers a wide selection of food and beverages on board for 250-1500 ISK (2-11 USD, or 2-11 EUR). Note that even non-alcoholic beverages like water, soda, and coffee/tea must also be purchased for 300-350 ISK (2-2.50 USD, or 2-2.5 EUR). The pricing is nearly exactly the same as you’ll find in the airport stores, at least it was for the wine, water, sandwich, and yoghurt I bought, so no need to nearly miss your boarding call to try to save some pocket change on refreshments. All in all, given the late notice of booking and the distance traveled, I would say the 294 USD on Wow air is well spent. But given the circus involved in getting between BWI and the DC Metro Area, I would say there’s definitely grounds to think long and hard whether the cheaper airfare is worth the extra transit steps.